Wholesale Coffee Mugs Individualized with Different Names. 1 Color to Full Color Custom Imprint. We supply bulk coffee mugs with a different name on each mug! You may present each employee with his/her own coffee mug. 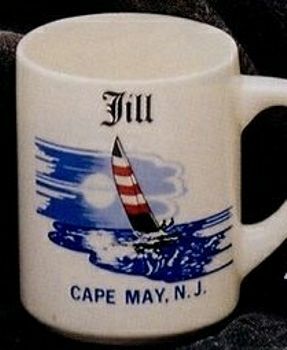 Lowest cost in USA and Canada for wholesale coffee mugs with individual names. American clients pay no taxes. Production Time for 1 color imprint: 3 weeks after art approval. Production Time for full color imprint: 4 weeks after art approval.